Julep’s November 2017 collection consists of seven new frosty, metallic shades for the coming winter. And, of course, the latest addition to their 2017 Zodiac collection is a new shade for the sign of Scorpio (October 23–November 22). 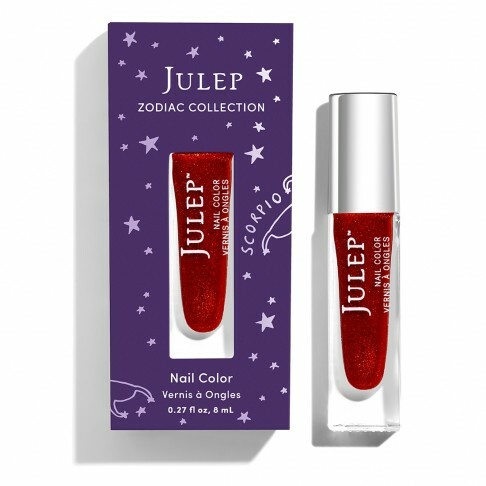 Late last month, Julep also introduced their Holiday sets, which includes two sets of Nail Color minis. #Coveted ($84 / Maven $48) consists of 3 new and 9 repromoted shades. As you may have suspected, I already picked up Sugar Suite with my Maven pricing! The nail colors for this month are all fairly shimmery (the official swatches look frosty to me) or metallic. If I’m quite honest, frosts and metallics aren’t my favorite finishes. Even though I like some of the colors (Dina and Talia look so nice), the finishes are putting me off. Unfortunately for my birthday month, I think I may choose to skip my Maven Box this month. Julep lets you skip indefinitely, which is really quite cool! I have never done it before, though. Julep Mavens will be able to customize their November boxes from October 20–24.